Solving a problem with a big company can turn into an endless game of layers. “Let me talk to your supervisor,” you say, only to find layer after layer between you and a solution. In a small town business, there are a lot fewer layers. You’re probably talking directly to the person who can help you. You are, at most, one person away from the owner. Even big businesses that grow in small towns tend to have fewer layers. Big businesses may give employees “room to hide,” as an urban business friend described it. Not so in the small town. If there is no one to pick up the slack, you don’t leave slack. 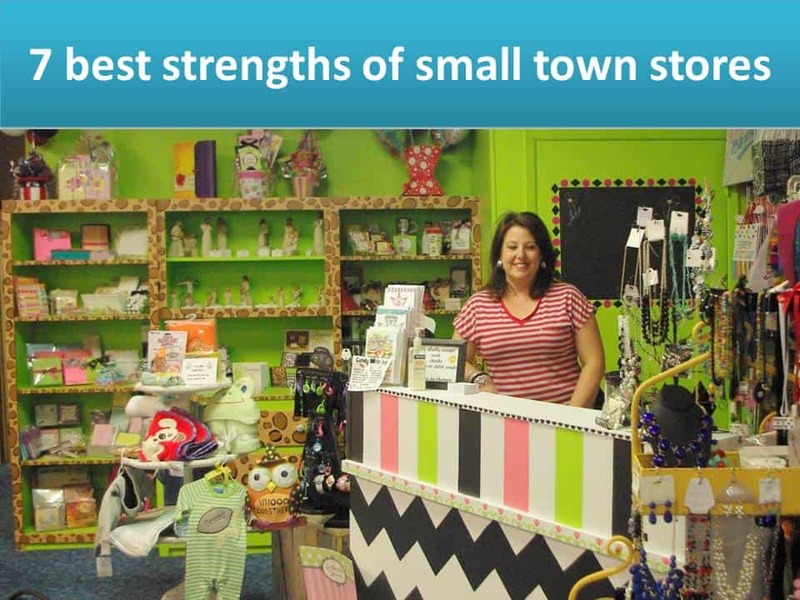 Small town businesses stay in touch with customers through a number of the other strengths, including getting to know you and being friendlier and more caring. We’re all part of the same community. I’m used to seeing customers of mine all around town. I would feel crazy telling them that they have to go through layers just to talk to me or get help. Use technology to break through layers. Allow text message orders, reservations, or just questions. (Imagine Citibank trying to take customer questions by text message.) Watch Facebook and other social networks for messages from customers. Besides easy communications, this also affects your values. When you start a business in a small town, you decide what values to put first. You don’t leave those decisions up to corporate headquarters far away. Your values are more likely to line up with the local values, the things that matter in your place.